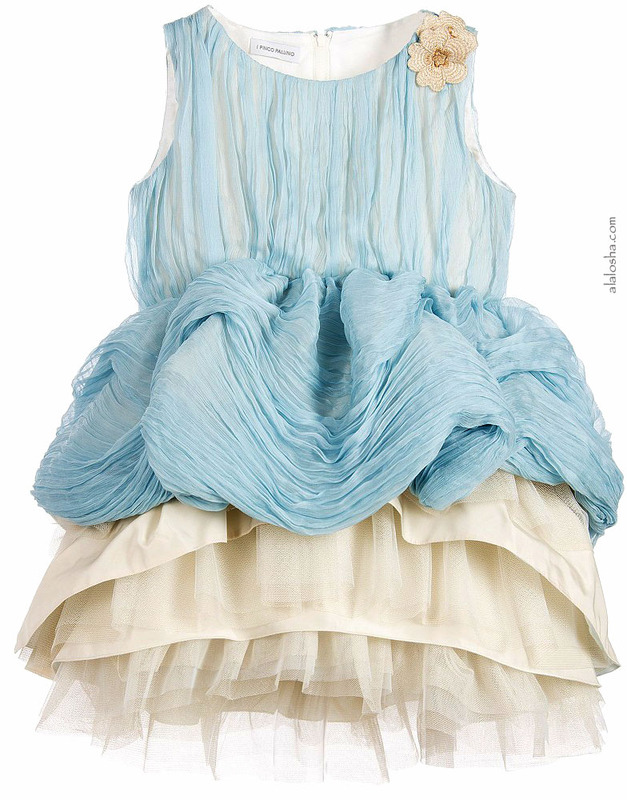 Girls elaborate, blue and beige dress by I Pinco Pallino. 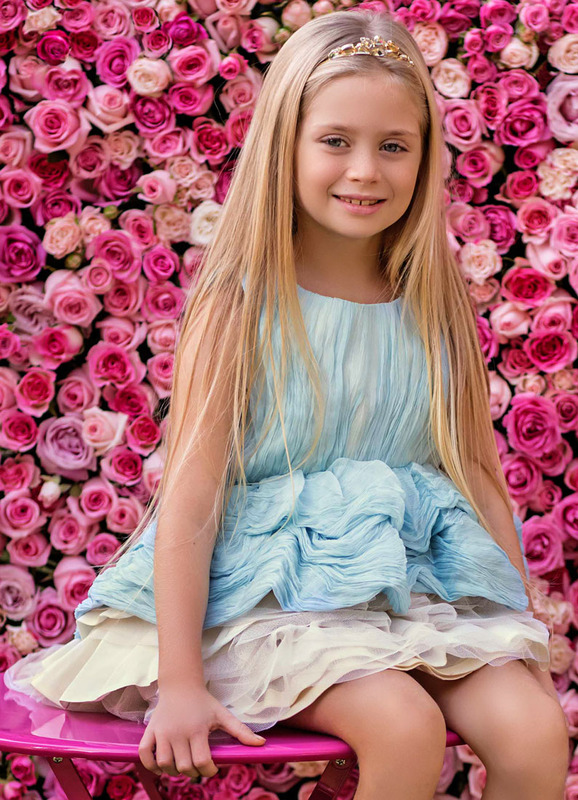 It has a delicate blue pleated silk overlay on the bodice and the peplum, with floral appliqués on one shoulder, embellished with shiny gold thread. Fully lined, the skirt has tiered, beige satin layers that are shorter at the front and have sparkly layers of tulle between. There is a zip fastener at the back, with a logo pull tab.